The big old fan on our air conditioner decided to sputter and die yesterday. Which wouldn't be a big deal except that we're reaching 99 degrees during the day and we're dropping into the 70's at night. The evenings are deliciously crisp but the days are hot. Although it is never convenient for you to breakdown, I must thank you. Thank you for not breaking down in August when mercury rises past 115 and we can bake cookies on the sidewalk. Thank you for not abandoning us when we needed you most. Thank you for not breaking down in the winter when we would have ignored you and then kicked ourselves in June when we realized you were still broken. And lastly, thank you for doing a thankless job. You are loved. So, for your enjoyment (and mine) I've created the above curated broken A/C kit. Just in case this ever happens to you. 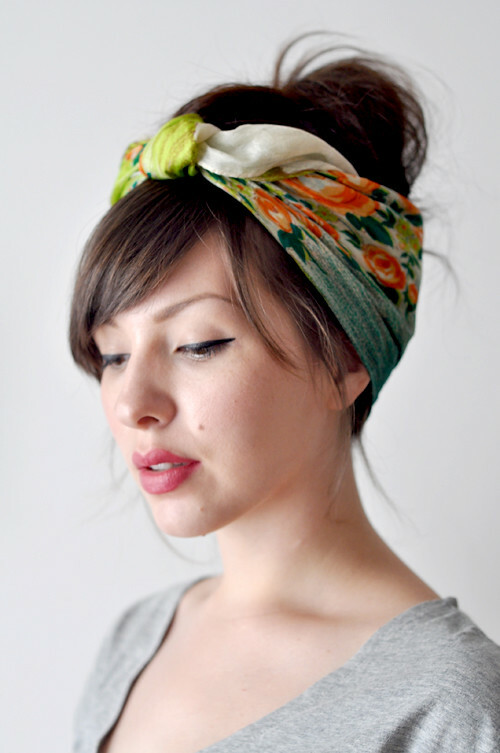 And, here is the cutest scarf hair tutorial by the beautiful Keiko Lynn. At 99 degrees we're guaranteed to perspire but we can still look adorable. Cheers to the A/C guy who is here right now at 9:30 pm, replacing the motor!